Enriched with Natural Plant Extracts, Vitamin E and Collagen. Natural plant extracts and essential oils have been combined with Dead Sea minerals, Collagen and Vitamin E to create an effective and soothing eye cream that is rich in antioxidants. 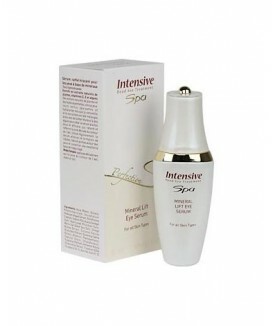 Formulated to reduce the appearance of fine lines, wrinkles and puffiness from the eye area, this cream has been specially formulated to leave you with a more youthful and refreshed appearance. Size: 50 ml / 1.7 fl. oz. Enriched with Natural Plant Extracts, Vitamin E and Collagen. Natural plant extracts and essential oils have been combined with Dead Sea minerals, Collagen and Vitamin E to create an effective and soothing eye cream that is rich in antioxidants. Formulated to reduce the appearance of fine lines, wrinkles and puffiness from the eye area, this cream has been specially formulated to leave you with a more youthful and refreshed appearance. Size: 50 ml / 1.7 fl. oz.